Vlaar, T.; Ruijter, E.; Znabet, A.; Janssen, E.; de Kanter, F.J.J. ; Maes, B.U.W. ; Orru, R.V.A. “Palladium-Catalyzed Synthesis of 4-Aminophthalazin-1(2H)-ones by Isocyanide Insertion” Org. Lett. 2011, 13, 6496-6499. Van Baelen, G.; Kuijer, S.; Rýcek, L.; Sergeyev, S.; Janssen, E.; de Kanter, F.J.J. ; Maes, B.U.W. ; Ruijter, E.; Orru, R.V.A. “Synthesis of 4-Aminoquinazolines by Palladium-Catalyzed Intramolecular Imidoylation of N-(2-Bromoaryl)amidines” Chem. Eur. J. 2011, 17, 15039-15044. Ruijter, E.; Scheffelaar, R.; Orru, R.V.A. “Multicomponent Reaction Design in the Quest for Molecular Diversity & Complexity” Angew. Chem. Int. Ed. 2011, 50, 6324-6346. Coffinier, D.; El Kaim, L.; Grimaud, L.; Ruijter, E.; Orru, R.V.A. “A New Multicomponent Reaction for the Synthesis of Pyridines via Cycloaddition of Azadienes and Ketenimines” Tetrahedron Lett. 2011, 52, 3023-3025. Vlaar, T.; Ruijter, E.; Orru, R.V.A. 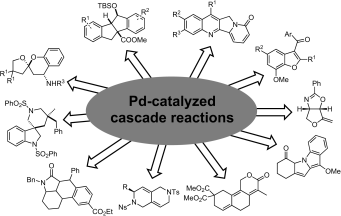 “Recent Advances in Palladium-Catalyzed Cascade Cyclizations” Adv. Synth. Catal. 2011, 353, 809-841. Mehta, V.P. ; Modha, S.G.; Ruijter, E.; Van Hecke, K.; Van Meervelt, L.; Pannecouque, C.; Balzarini, J.; Orru, R.V.A. ; Van der Eycken, E. “A Microwave-Assisted Diastereoselective Multicomponent Reaction To Access Dibenzo[c,e]azepinones: Synthesis and Biological Evaluation” J. Org. Chem. 2011, 76, 2828-2839. Kruithof, A.; Ruijter, E.; Orru, R.V.A. “Microwave-assisted Multicomponent Synthesis of Heterocycles” Curr. Org. Chem. 2011, 15, 204-236.